Very active secular (non religious, NOT anti) Facebook group created and moderated by me, webmama of FresnoFamily.com. This is the place to be if you’d like to be in contact with the Fresno area homeschool community as a whole. Great place to get to know what’s out there for us, ask questions of veteran homeschoolers and to hear about gatherings and happenings and resources. This is a secular group in that no religious discussion is permitted…however there are plenty of religious homeschoolers on this group. It is a group for everyone. Fresno Area Homeschool Charters Facebook Group — Sister group to the the one above…secular (non religious, NOT anti) …For local homeschool families to learn all about the homeschool charter options available to them in this area. Charter staff as well as vendors are welcome to join and share info about their programs and services and answer questions. Homeschooling Older Kids in the Fresno Area — Secular (non religious, NOT anti) local group for parents homeschooling children ages 10 and older, in the Fresno Area of California. Badass Unschoolers of the Central Valley — The group you’ll find here is united by a common desire to allow our children to follow their interests, trusting that they will therein learn what they need to know, when they need to know it. Other common themes: attachment-based, peaceful parenting, partnership with our children, a desire to provide rich opportunities for play, and kids who are given a level of freedom that mainstreamers find surprising. Homeschool Huddle — Welcome to a safe place to share your home school questions and resources. Most of us are based out of Central California, but not all. Some of us are veterans and some are just starting the journey…or just thinking about it. As group member Sarah is fond of saying, “Learning happens all the time.” Feel free to share what’s working and what’s not in your home school experience. The more, the merrier! Homeschool Families in the Sierras — This group is for homeschool families (or those considering homeschooling) as a way to connect with others in the Sierras. It is not associated with any school, not religiously affiliated, though posts involving religion are allowed. Central Valley Inspire Families — For families enrolled with Inspire Charter, or wanting to learn about Inspire. Field Trips 4 Homeschoolers – Central Valley — Open to homeschoolers of the greater Fresno and surrounding areas. Reading Rules, Guidelines, and Other Useful Information (pinned to top of page), as well as sending a friend request to HS Field trips is required before posting to group. Welcome! Fresno-Clovis TK-2nd Homeschool Tribe — This group was created to provide a place for parents of like aged kids, TK-2nd, to discuss, share, and ask questions about homeschooling. This is an adventure for all of us and what better way to be more successful than having support from our tribe! 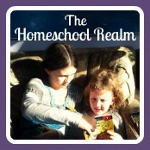 I love to pull ideas from the varying theories of homeschooling/unschooling and welcome all of them to this group. As this group is forming I will be making changes and adapting as needed. Tower Christian is a group of Christian homeschooling families that have joined together under one private school affidavit in accordance with California state law as “Tower Christian School”. Activities sponsored by Tower Christian include field trips, park days, school parties, and a youth group. They do NOT organize or provide group classes for home educated students or drop off events…but they do provide an opportunity to meet other families with whom you can organize group events. Visit their website for more information. Contact Cindy Freeman, or call the school 224-8132. CHEFA (Christian Home Educators of Fresno Area) is a non-profit organization created for the purpose of providing information, training, and support to the Christian Home School Community of the greater Fresno area. CHEFA is a network of Christian home educating families who volunteer to organize local activities that encourage quality Christian home education in the Fresno area. Visit their website for more information. Small Christian homeschool group meeting in Squaw Valley. Support, shared duties for monthly meetings and field trips, private school affidavit, yearbook, and encouragement. Support Group meets the first Tuesday of each month in room 107, and a park playdate the 3rd Friday of each month. Open to all homeschoolers. Hello, I am currently homeschooling my 9 year old grandson. I am looking for a group for park meet-ups or field trips in the Clovis area. I did find a mention of something online held at Bicentennial Park, but search as I might, I cannot find it again. If anyone knows of this group or any suggestions of another group, I would appreciate the info. Thank you. My husband and I are planning to return to Fresno. Our son is 9 and we just started homeschooling last year. We currently live in West Michigan and there is no shortage of homeschooling options, classes, oportunities and they even have a building with a book store here! Im looking to see what the resources are, if there are any groups to get involved with, extra curricular activities ect. Thanks!!! There’s tons of stuff…just depends on what you’re looking for! My son and I recently moved to the Fresno area. I am currently homeschooling him and was looking for available volunteer opportunities for him. Does anyone know of any organizations looking for teen volunteers in the Fresno/Clovis area.? Currently the only local homeschool charter that provides funding to homeschoolers that I recommend is Inspire charter…but do keep in mind it does come with public school requirements like testing and standards and unless you sign up with a special program they don’t have on site classes. There are also other homeschool charters that provide their own on-site classes but do not provide direct funding. 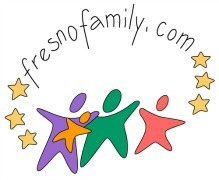 Check this page: https://fresnofamily.com/homeschooling/local-homeschool-options/ for all the local options. Come join us on the Fresno Area Homeschoolers Facebook group: https://www.facebook.com/groups/FresnoAreaHomeschoolers/ I know there are quite a few families with special needs children on there. I’m sure they can give you support and advice. Hello , I am a first year mom to homeschooling. My little one is in kindergarten. I was having a hard time finding a group for her and decided to put one together. It’s completely free to join for the whole family and not only does it offer fun but as well as fun educational tours, playgroups, and much more for all ages. I was hoping I can be listed in your list of homeschooling support groups. Are website is https://groups.yahoo.com/neo/groups/UnitedChristianHomeschoolingFamilies/info. I would love to share our fun homeschooling experience with all. Thank you so much for all your help and support. Any charlotte mason type homeschool groups in or around fresno? thanks. I am trying to figure out if homeschooling my four year old is the best option, is there and advice or tips I could get on weather it is the best thing? I would like to hear your opinion on homeschooling vs. public school just having a hard tome deciding what to do with my daughter. A friend and I do a podcast called the Savvy Homeschool Moms: http://www.savvyhomeschoolmoms.com You may find that helpful in deciding. me know. Thank you, Thank you!